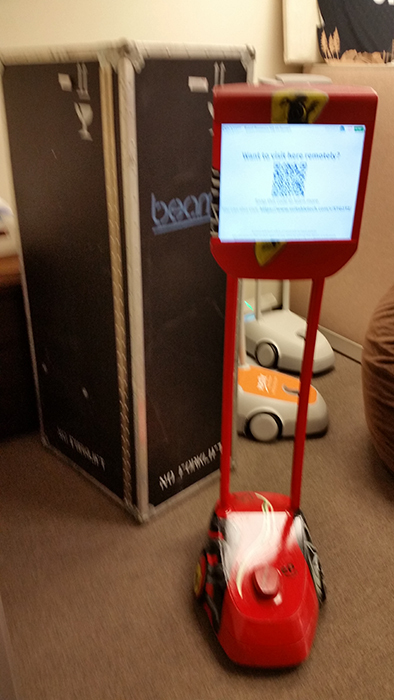 Case designed to ship one BeamPro and Docking Station. 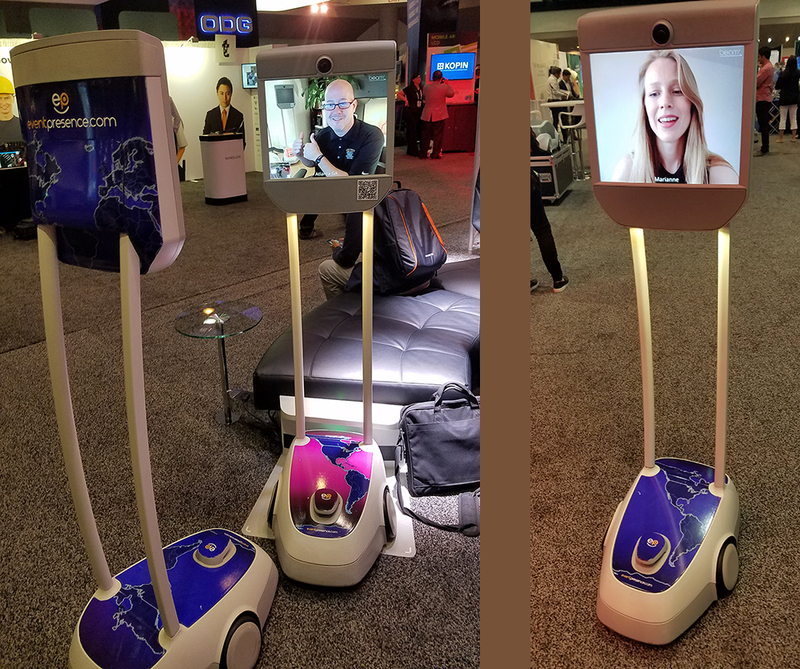 Case has wheels. 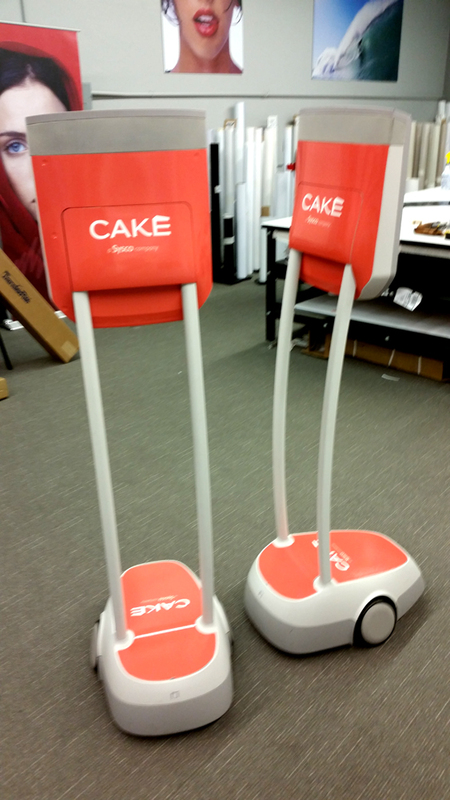 Case weight empty = 100lbs. 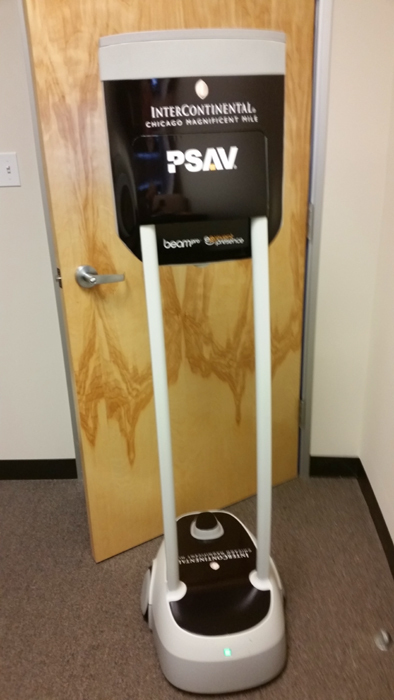 BeamPro weight 95lbs. 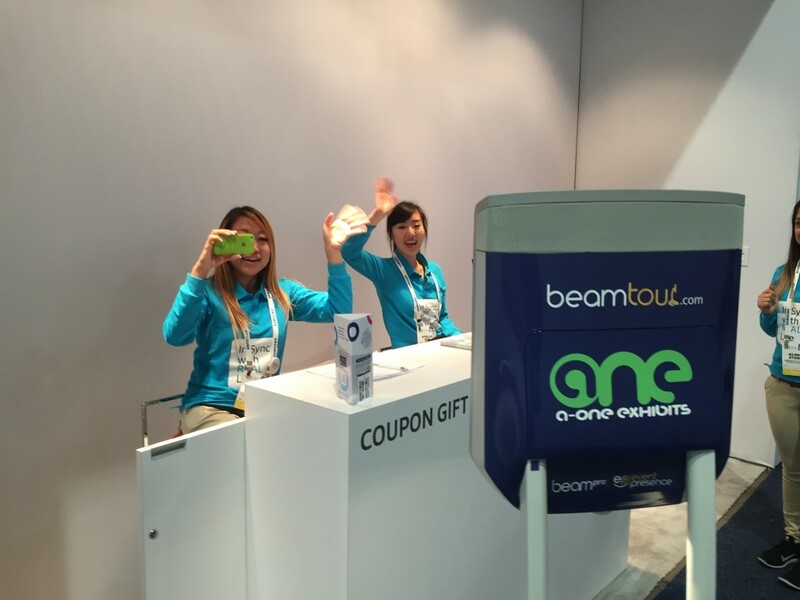 The Beam Tour visited the Samsung, Panasonic and Monster booths. 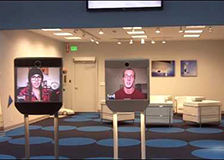 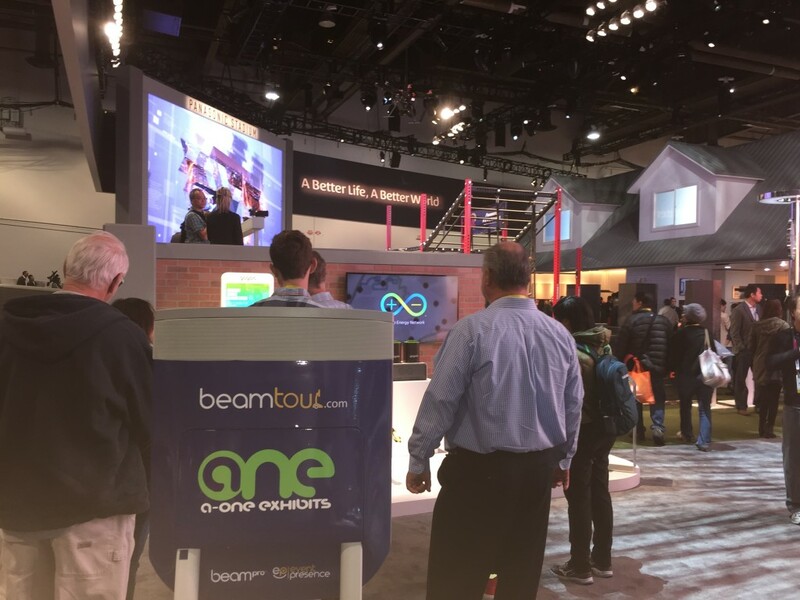 The BeamPro continues to make impact throughout the exhibit vertical. 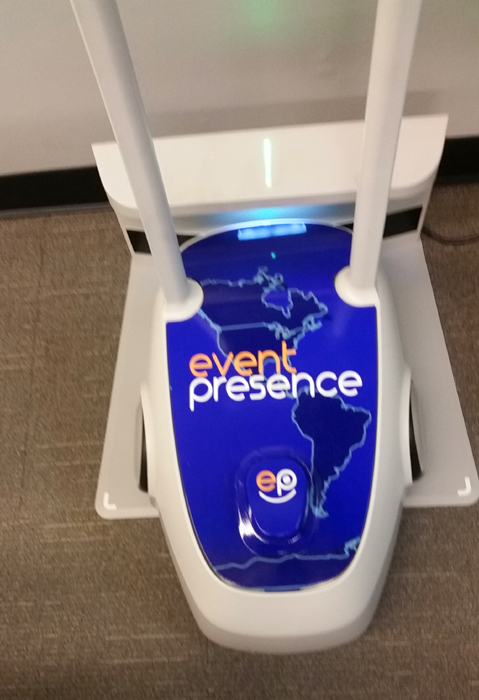 Event Presence created a Salesforce App that manages the Beams. 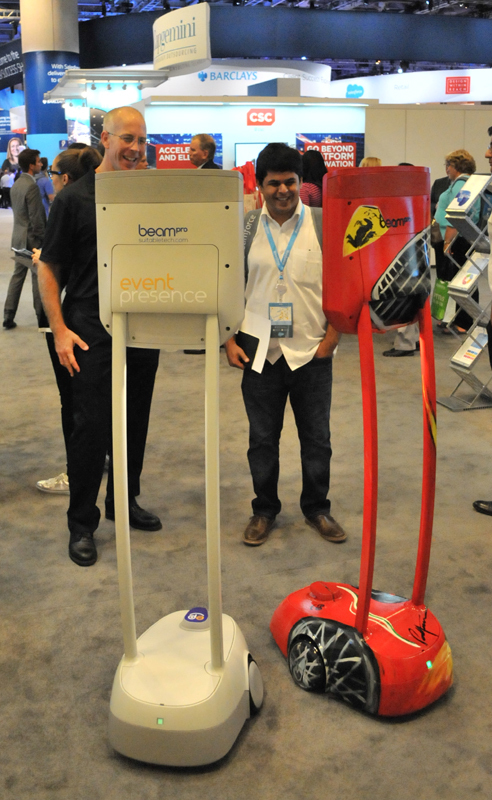 The Salesforce mascot loves the Beam! 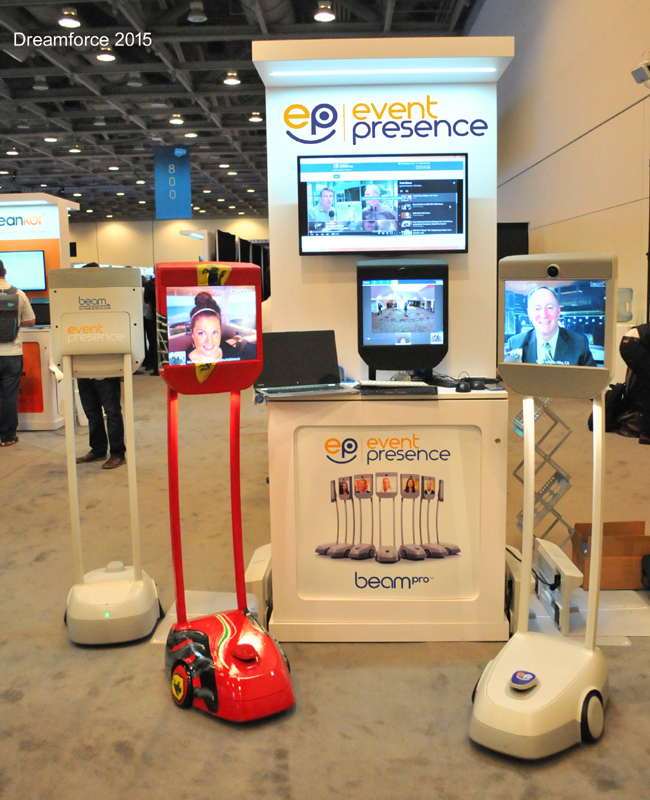 Attendees can enjoy piloting a Beam directly from the EP booth. 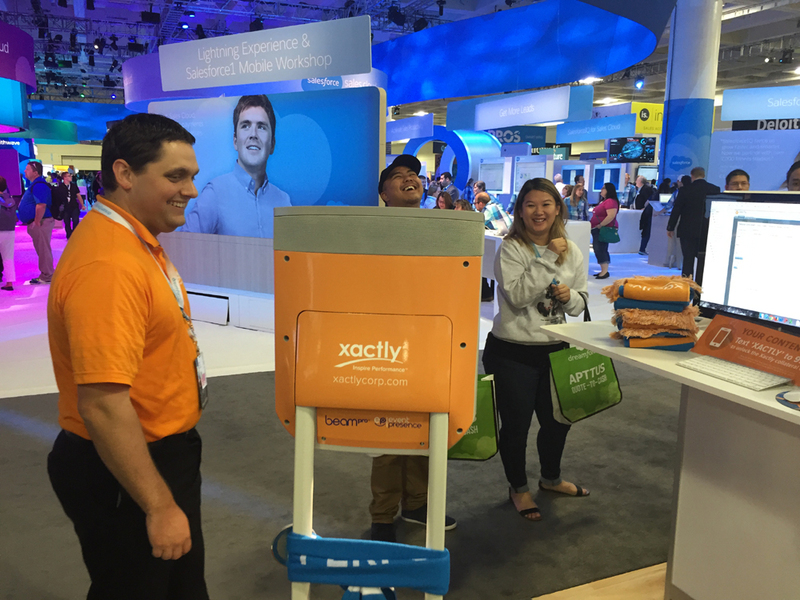 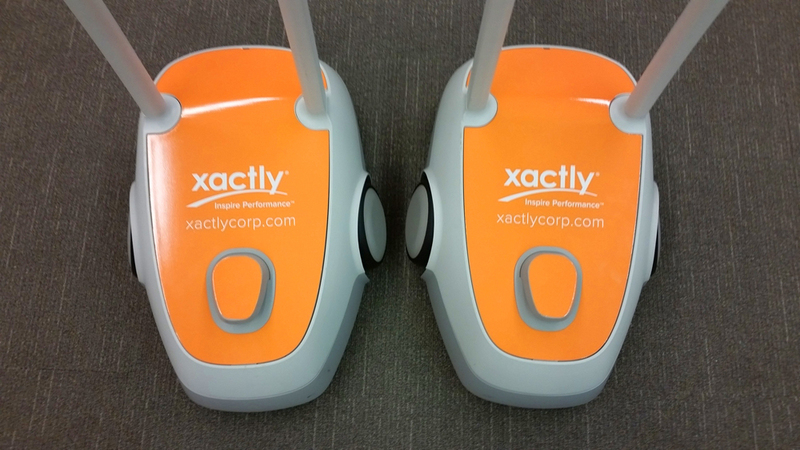 One of the premiere booths at Dreamforce is Xactly. 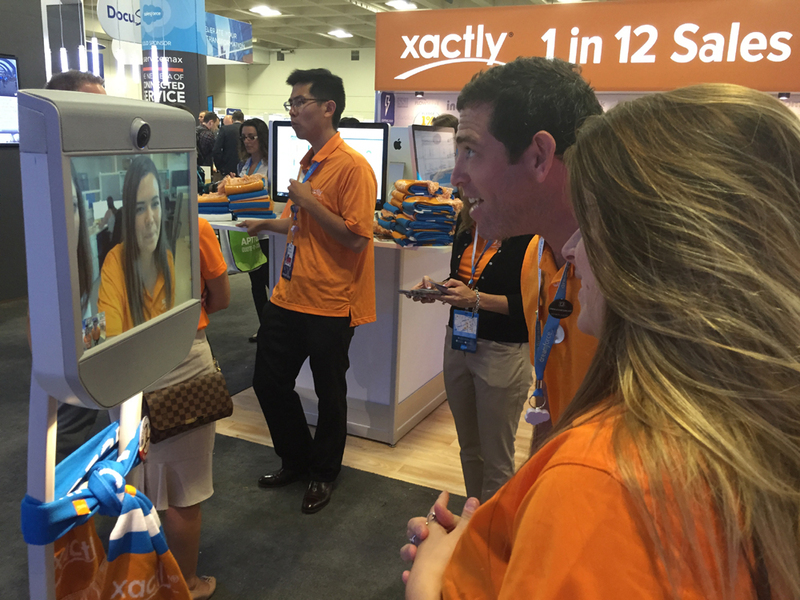 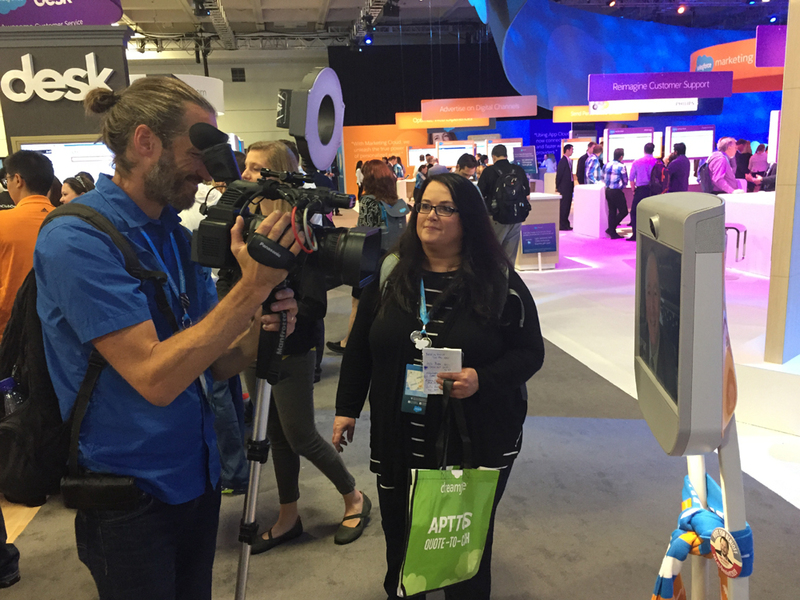 Jessica from the Xactly Denver office Beams into the Dreamforce booth to say hello to her business associates in San Francisco. 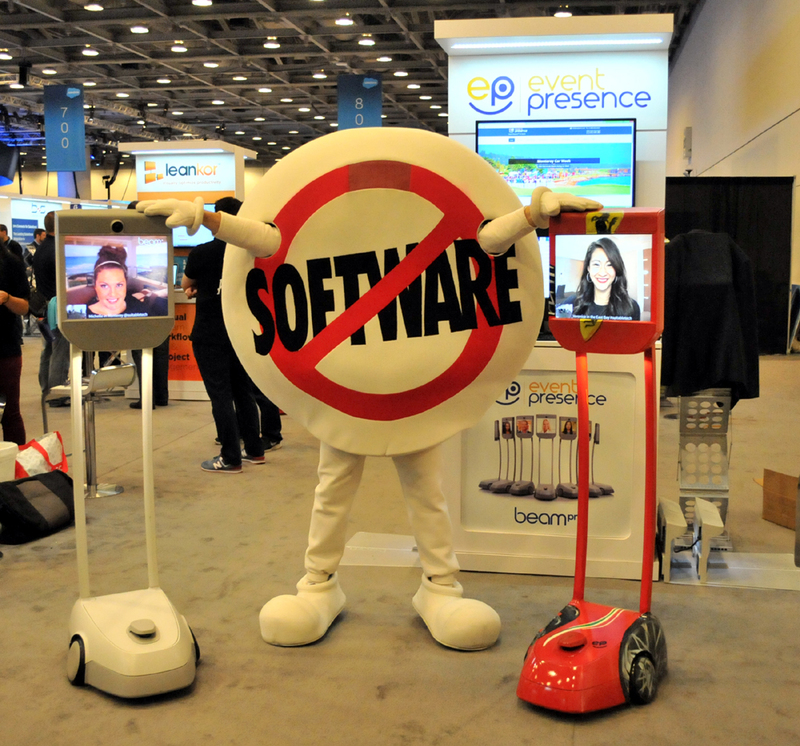 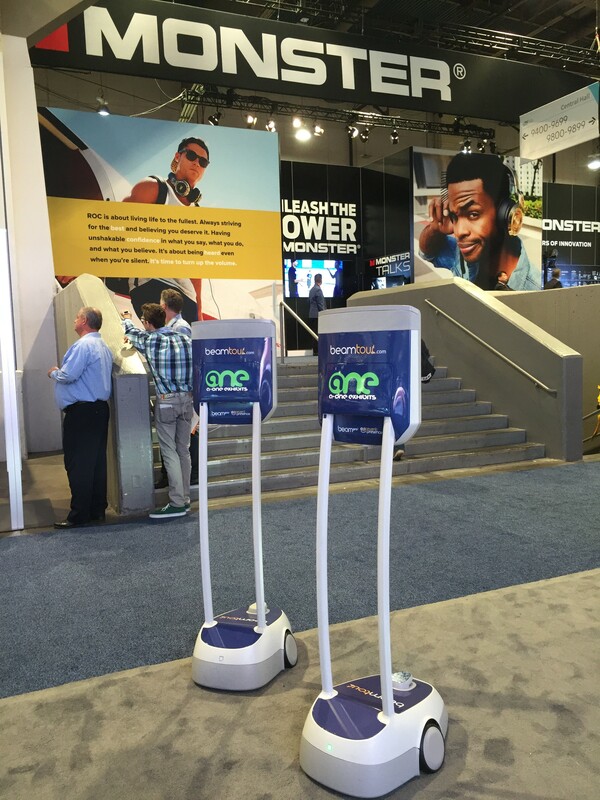 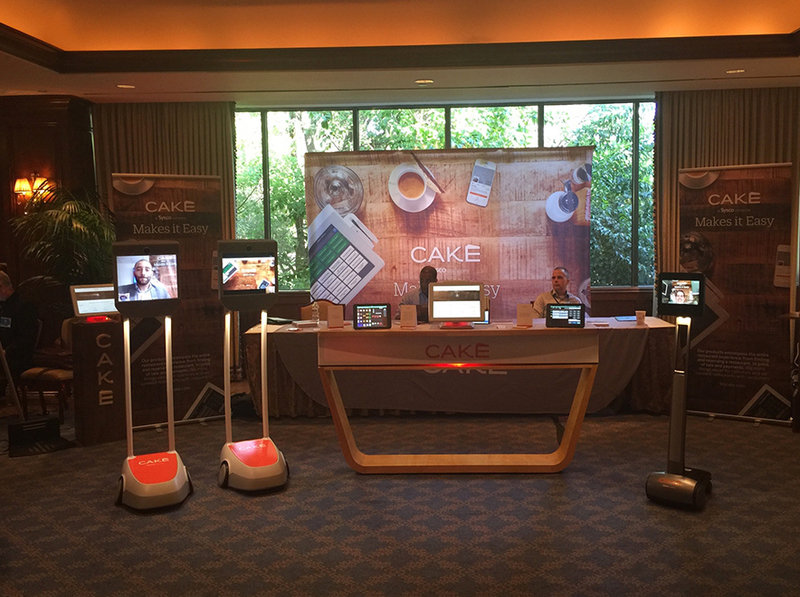 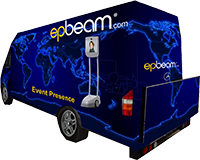 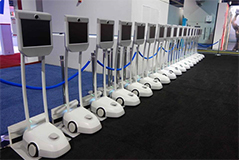 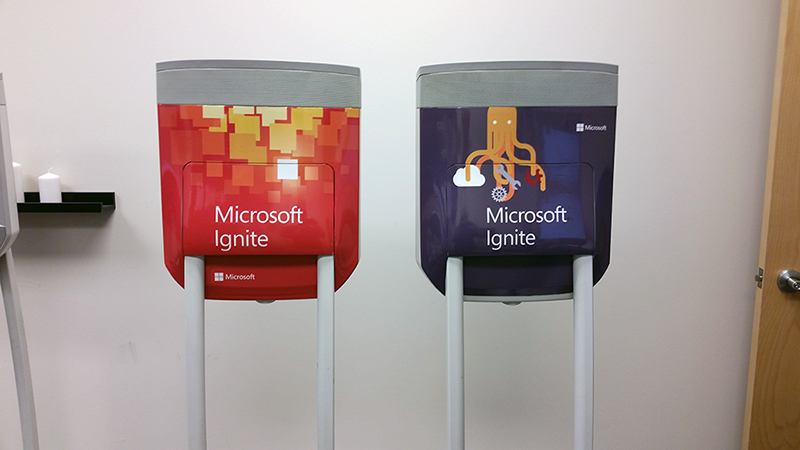 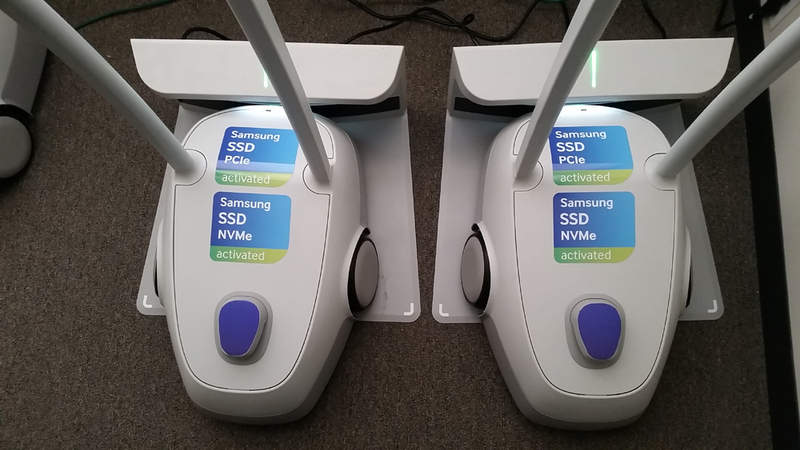 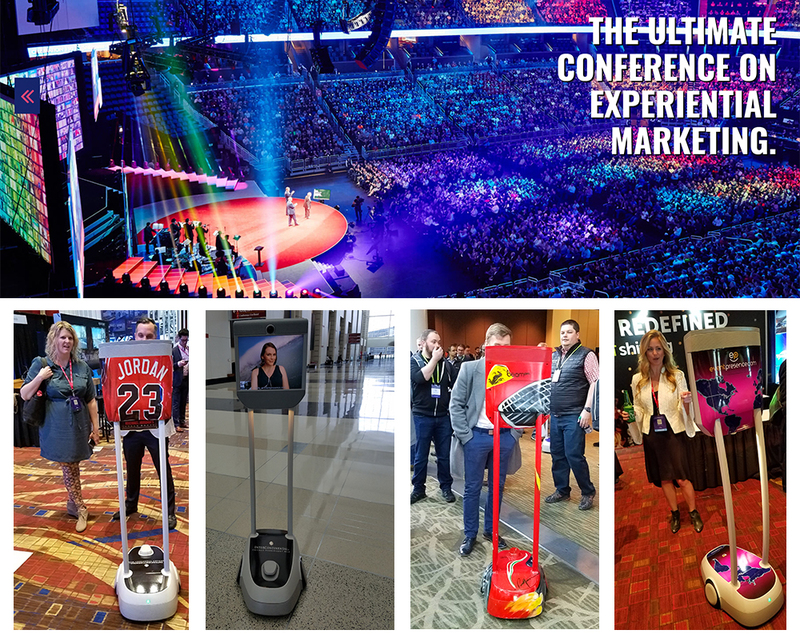 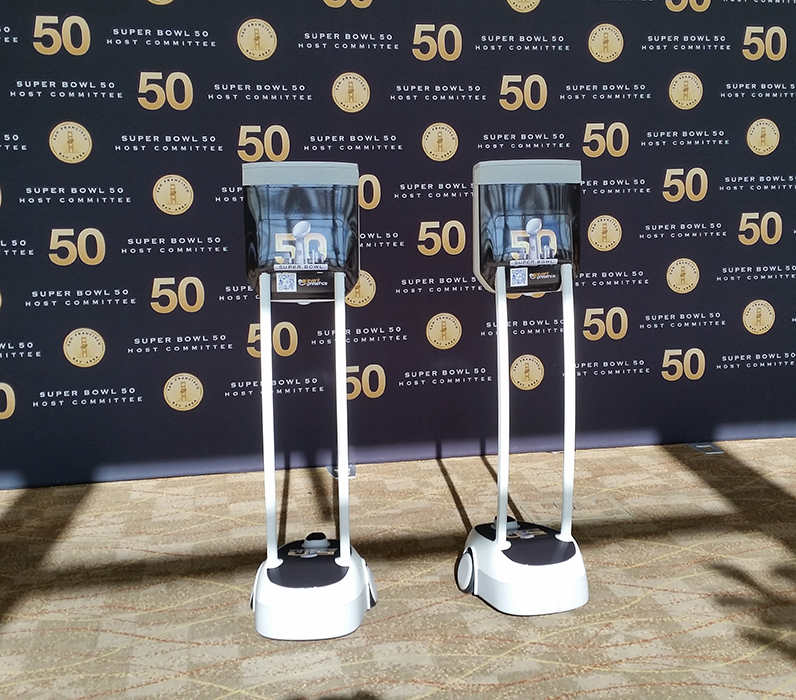 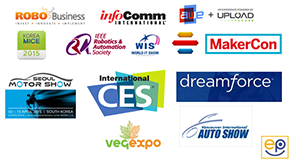 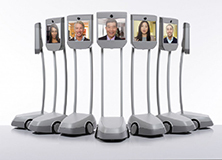 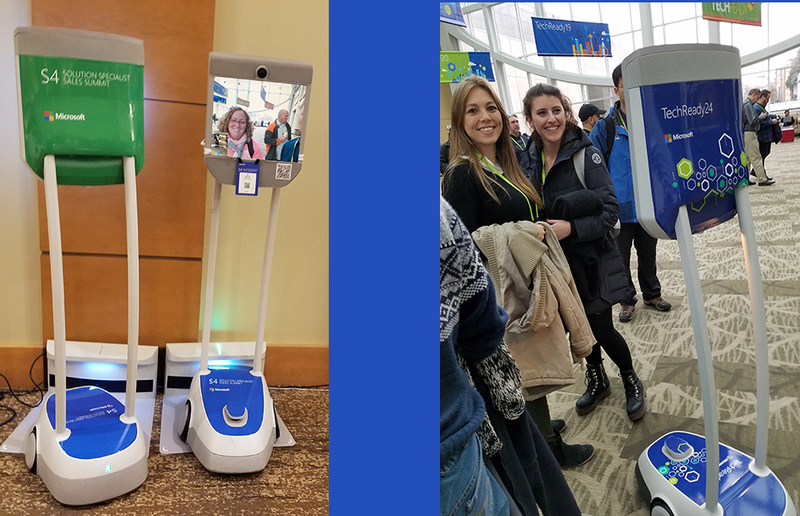 Event Presence offers many options to brand a BeamPro. 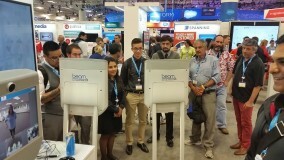 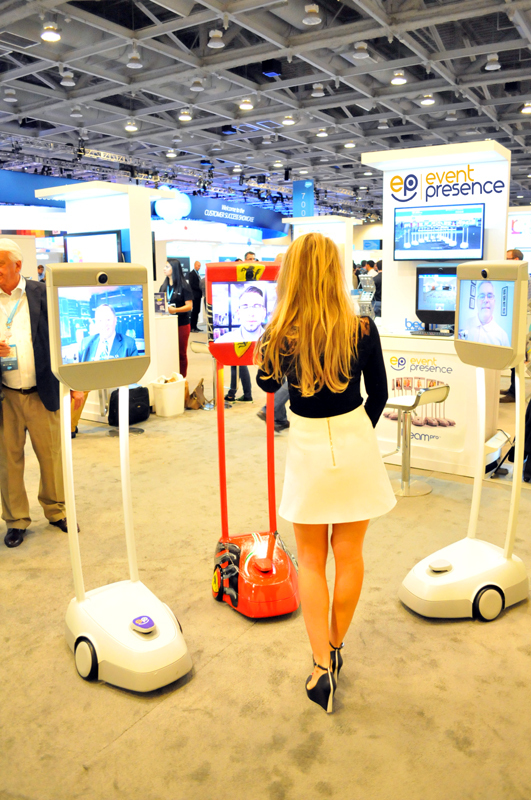 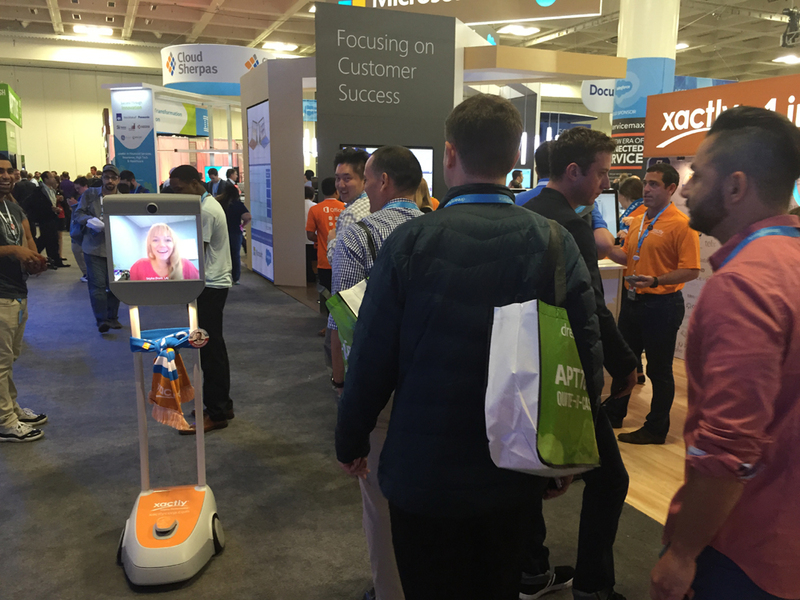 Dreamforce press take note of the Beam and how booth staff utilizes the technology to bring people together. 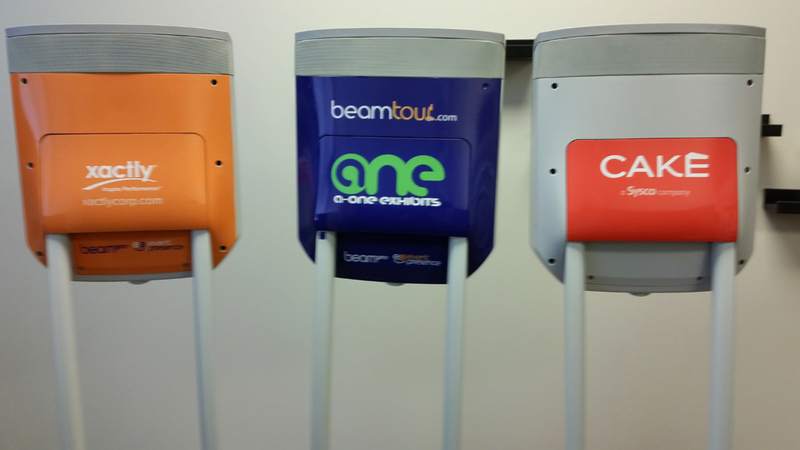 Beams can be fully branded in many ways. 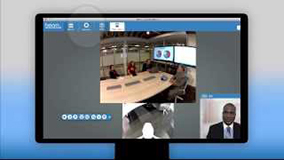 A Freeman executive Beaming in from Orlando FL to listen to a experienced EP Beam Pilot. 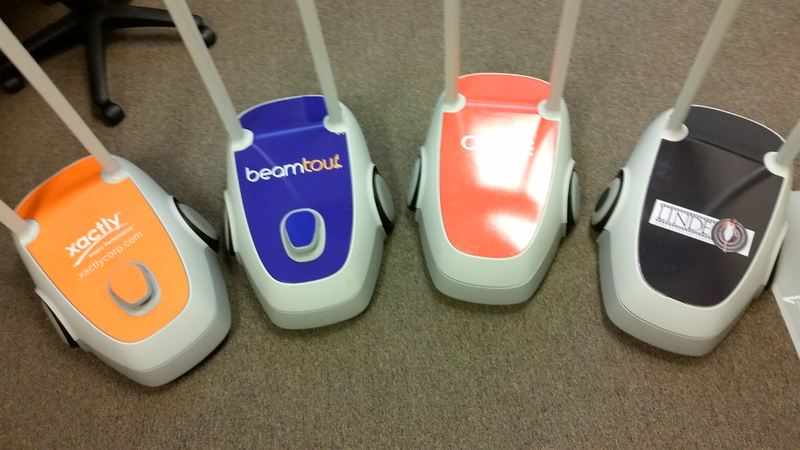 The Beams can easily be branded for you!